Location of investment site Promyslova street (5 km far from the town centre). 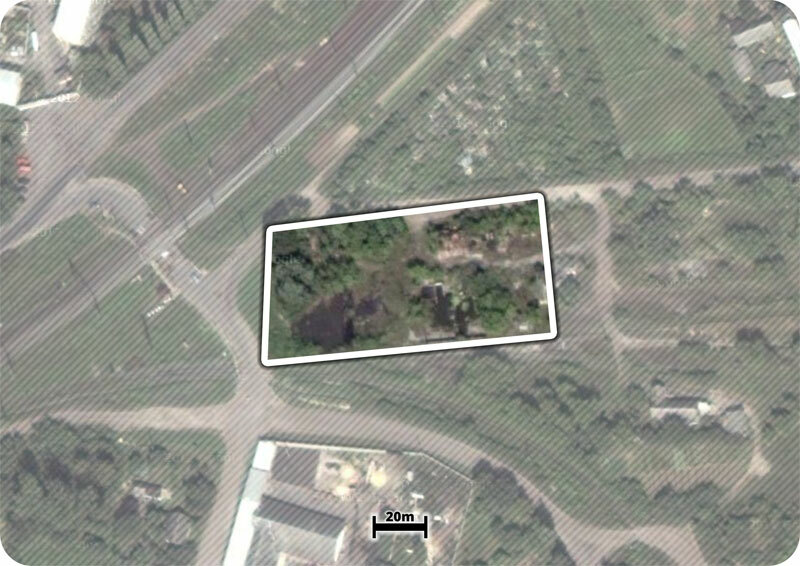 Area of investment site An integral investment site with an area of 0.2 ha. Premises (buildings) on site if any There is no premise on the site (greenfield). There were premises in the past. Technical infrastructure Electric power supply: the distance to the connection point is 600 m. Power line of ІІІ category with capacity 100 kW; 100 kW transformer. Water supply: municipal water network is absent; there is a possibility to supply water from artesian well. Gas supply: municipal gas network of average pressure, the distance to gas network is 100 m, to gas distribution station – 500 m.
Telecommunications infrastructure There is an access to telecommunication network and broadband Internet on a base of JSC “Ukrtelecom”; the distance to the distribution cabinet is 2 200 m.
Distance to the nearest residential area 110 m, the distance to non-residential buildings is 70 m.
railway track and railway station – 0.6 km. Limits in territory development if any There are no environmental constraints. Proximity to residential area. Terms of investment site transfer in operation Auction sale of lease rights with a starting price of 11.06 UAH/m2 (as per calculation on 01.01.2015).